The Archive of Our Own, recently announced as a 2019 Hugo Award finalist, is the OTW’s largest project. With more than 31,000 fandoms, 4.5 million works, 1.8 million registered users, and countless guests, there’s a lot to take care of. With the help of your donations, we work hard to make the Archive the best it can be. In the past six months alone, AO3 has had several updates to improve both user experience and behind-the-scenes workings. AO3 now supports the UTF8MB4 character set. This means that several languages now have more characters they can use. It also means that emojis are now supported for all your texting-fic needs! AO3 also recently overhauled the code for its login system, making it easier to maintain. Tag wrangling received a major update to how tags are sorted for wranglers to interact with. Because of this, more tags will get to the correct wranglers faster, simplifying the wrangling process and making it more efficient. Work downloads have also recently been switched over to the Calibre command line interface. Downloaded works will now have better-organized metadata, easier-to-read layouts, and will display images! All of this is possible because of your donations. Your support allows us to continue to maintain and improve the Archive. And don’t forget, if you’d like to support the OTW on a continuing basis, you can set up a recurring donation. You can choose any donation amount for as often and as long as you want, and save up for one of our thank you gifts! I’m really happy that Ao3 has been receiving the support it needs! It’s a wonderful website, and it doesn’t make my job harder while I’m writing for it. You can tell there’s a lot of love crammed into it. I am curious, what are you planning on improving for the website next? You can read our future plans for the Archive in the Archive Roadmap. At the moment, the Accessibility, Design, & Technology Committee are still working on things under the “Version 0.9” header. I’m actually really sad to be out of cash at the moment. This website has done so much for me and my creativity. Are there other ways to donate outside of the membership drive? Next time I have the possibility, I definitely want to donate. Thank you for your support! We accept donations year round, so there is no window you need to worry about. While this drive ends today, you can donate at any time using our donation form. Thanks again for your interest in donating. could you please consider to support the alipay for donation next year? Unfortunately, the OTW is a United States-based nonprofit, and there are some implementation challenges in accepting donations via Alipay. This may change as Alipay continues to expand from Asia. 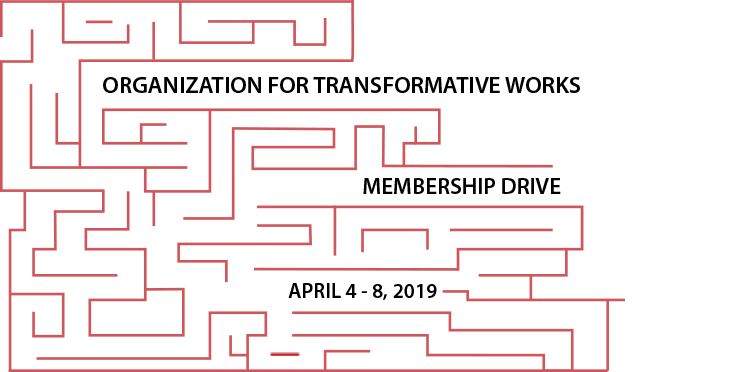 We will be looking into ways to include it as a payment option, so keep an eye on the Development & Membership tag on transformativeworks.org and on the AO3 news feed! Feel free to contact us again with any other questions and thanks again for your interest in donating! Hi since you guys are implementing all this new stuff can you add a search feature for the history and marked later areas? Thank you for your support! We have passed your request along to the Accessibility, Design, & Technology Committee (the coders behind AO3). Thank you thank you thank you for all you do. Thank you.